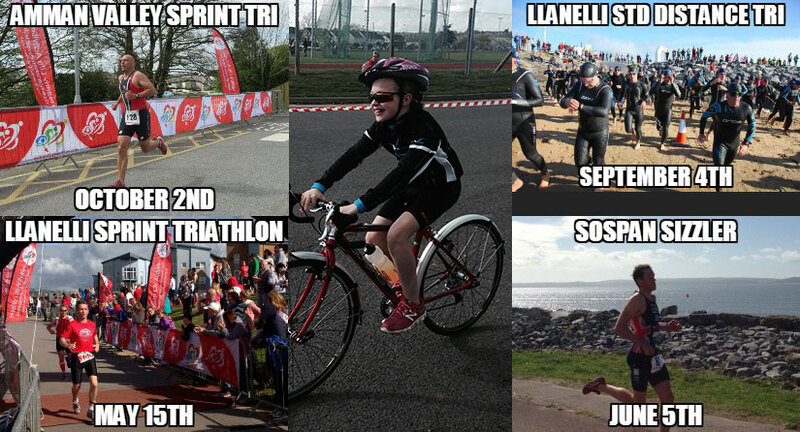 The Carmarthenshire Triathlon Series in 2016 has something for everyone – 5 superb events including pool based triathlons and open water challenges to test every athlete. If you’ve already signed up to one of our events then maybe we can tempt you to enter the Carmarthenshire Triathlon Series. Why not bring a friend along to enjoy the unique and stunning views of the Carmarthenshire coastline and the rural landscape the County has to offer. Offering great value for money, and organised by an experienced team of triathletes on a voluntary basis, our events are suitable for everyone. JM Complete Fitness are proud to be sponsors for the Carmarthenshire Triathlon Series in 2016. Healthy Life Activities is committed to ensuring our youngsters have the opportunity to take up this great sport of Triathlon. We have two FUN based events and two events that form part of the Welsh Tristar Series in 2016. Youngsters will feel part of a BIG event and will enjoy all the thrills of a professionally organised event.